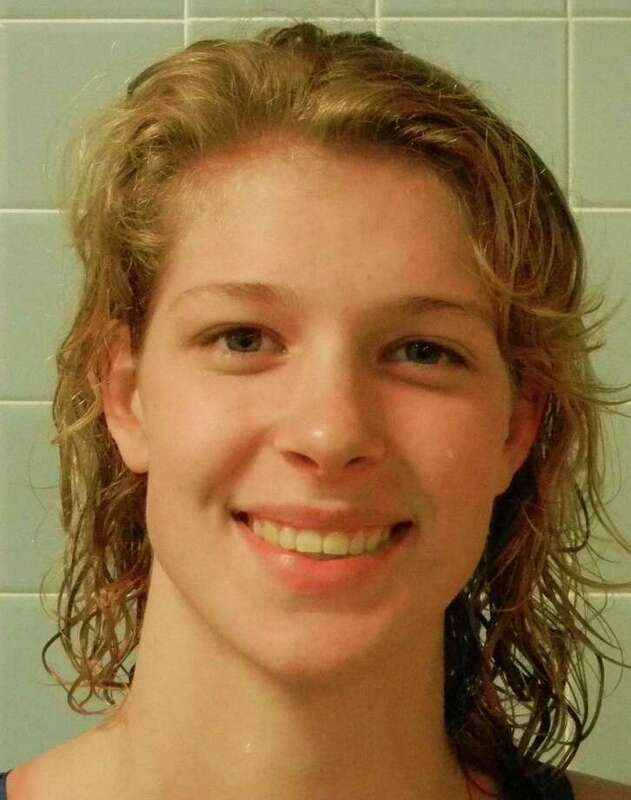 Senior sprint freestyle specialist Chelsea Pond placed in the top seven in two events Tuesday night at Wesleyan University and was the Mustangs' leading swimmer as Fairfield Warde finished ninth of 21 teams at the CIAC Class L girls swimming and diving championship meet in Middletown. Pond took third place in the 50-yard freestyle (24.19 seconds) and seventh in the 100 freestyle (53.56). She is hopeful that both times will qualify her for the State Open at Yale on Saturday afternoon. Darien won the team championship, with New Canaan second, Wilton third, Cheshire fourth and Hall fifth. Hand was eighth with 220 points, just 12 more than the Mustangs. "It's a definite maybe," said Warde veteran coach Georg Palmgren about the likelihood of Pond's efforts landing her in the State Open. The swimmers with the 24 fastest times in each event among the four state class championships Tuesday and Wednesday at Wesleyan (Classes L, S) and Southern Connecticut State University (LL, M) will earn spots in the State Open. Last year, as a junior, Pond placed 17th in the 50 free at the State Open and 16th in the 100 free as Warde tied for 40th among 52 teams. The Mustangs were 12th of 20 teams in Class L in 2012 when Pond was fourth in both freestyle events. Also on Tuesday night, Fairfield Ludlowe finished 12th of 20 teams in Class LL at Southern Connecticut, after the Falcons were 16th of 20 schools a year ago. Greewich won this year's Class LL championship with Amity second and Glastonbury third. Pond, whose junior sister Brittany earned ninth in the 50 free (25.31) and 16th in the 100 free (56.39), set a personal best in the 50 free but did not come close to her personal record in the 100 free. Chelsea Pond's previous best of 24.35 in the 50 came two years ago as a sophomore when she swam for a club team and not the Mustangs. Chelsea Pond swam the anchor leg in the meet-opening 200 medley relay along with junior Brianna West, senior Katie Schreiner and junior Maia Hernandez, which placed 10th in a season-low time of 1:58.97 after qualifying 12th in the preliminary meet Nov. 9 in West Hartford in 1:59.43. "I was feeling good after the relay," Cheslea Pond said of the 50 free. "The competition was so hard. This is the fastest class for sprint freestyle events for sure. I felt really good swimming it. It was my best race so far." The 50 freestyle is challenging, she said, because success hinges on a good dive into the pool, a strong first 25 yards to the wall, a quick turn and a fast finish. "It's crucial for every part to be perfect -- milliseconds matter," Chelsea Pond said. Her goal was a top-three finish and a personal best. Her time from the preliminaries, 24.40, gave her the No. 4 seed. "They both swam well," Palmgren said about the Pond sisters. "I was especially pleased with their times. Their 100 freestyles could've gone better. They put a lot of effort into the 50. It's hard to come back after the 50." Chelsea Pond said her 100 time, a 53, is where she ought to be, though she was aiming for a 52. She said she feels that she "definitely" qualified for the State Open in the 50. She characterized her chances for making the grade in the 100 as "probably." "I feel I can do better this time at the State Open," Chelsea Pond said. Also contributing to Warde's point total on Tuesday were sophomore Victoria Fletcher, who was 23rd in the 200-yard freestyle and 21st in the 500 freestyle, and Sapir Soshan, 20th in the 100 breaststroke. Brittany Pond, West, Fletcher and Soshan combined to take 10th in the 400 freestyle relay. The Pond sisters, Schreiner and Hernandez combined to place 11th in the 200 freestyle relay.